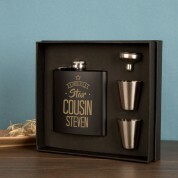 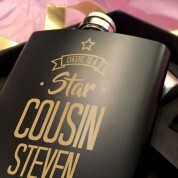 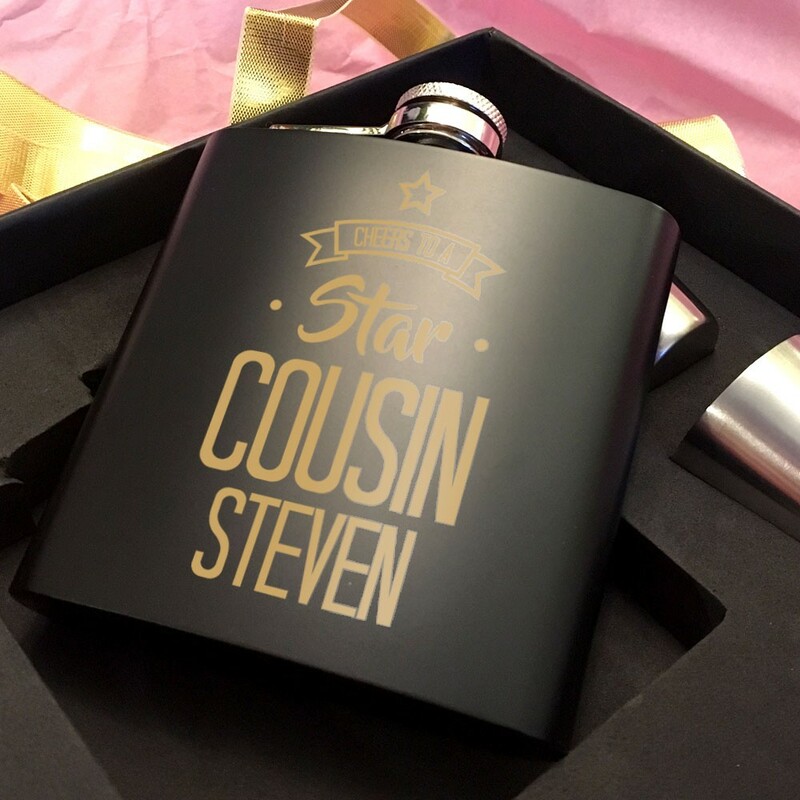 Have a wonderful cousin that you want to give a special gift to? 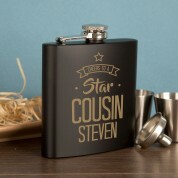 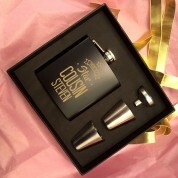 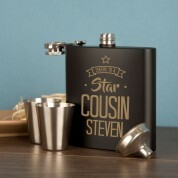 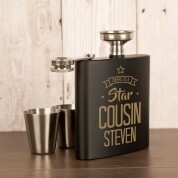 This matte black hip flask is a unique and personal gift that any cousin will love. 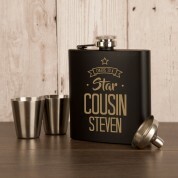 It is laser engraved with their first name and sports a beautiful design. 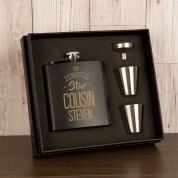 It also comes with a handy black presentation box along with 2 measure cups and a funnel for easy filling.